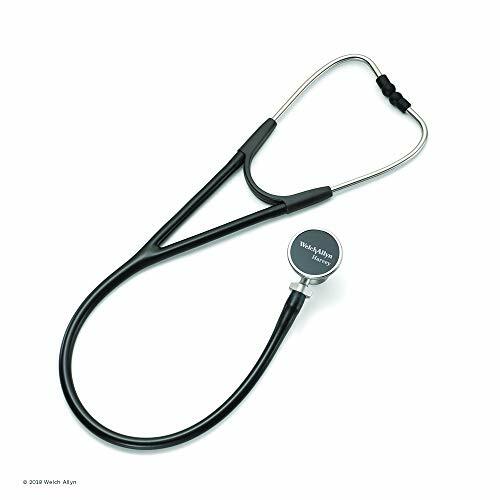 Every stethoscope has a basic feature of chest piece, tubing, and earpieces. But it is the quality of products and attention to detail that makes a stethoscope brand better than the others. 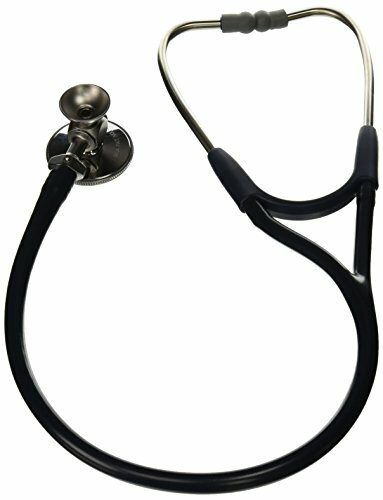 Out of various reputed brands, one of the top-notch and highly trusted stethoscope brands is Welch Allyn. The brand was established in 1915 and initial produced medical equipment for eye doctors. But with an urge to expand its market reach, Welch Allyn started manufacturing stethoscopes. Soon it was one of the prestigious stethoscope brands worldwide and still boasts of the position. Welch Allyn is a top-line stethoscope brand offering premium quality products within $100 to $250. The brand produces superior quality stethoscopes to examine highly infectious patients. Hence, you can use this stethoscope to ensure that there is no infection spread among the patients. The brand is known for manufacturing stethoscopes for general medical experts. But it does manufacture cardiology grade stethoscopes. In fact, the Elite and Harvey lines are known for their high dependability and low price range. This stethoscope brand is known to manufacture rugged stethoscopes with a triple-leaf spring between binaural. This spring is adjustable as compared to double and single leaf springs available in other common brands. Even the quality of stethoscopes made from Welch Allyn is backed with warranties that is more than the one offered from other competitive brands. The Elite and Harvey range from Welch Allyn is an excellently designed range offered by the reputed Dr Proctor Harvey. The design of these stethoscopes highlights important aspects like high-frequency sound ejection, murmurs, systolic clicks, and more. Additionally, the stethoscopes are designed as per the guidelines of the American Heart Association. 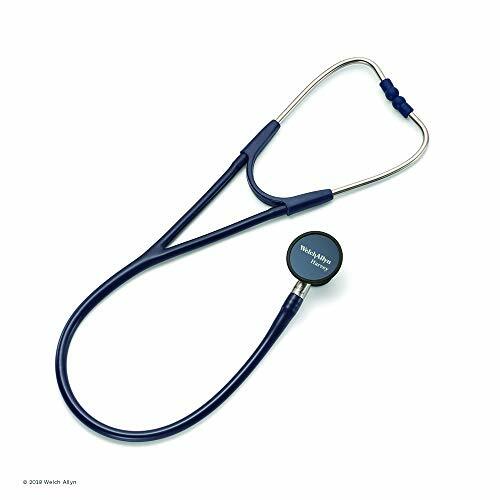 This indicates that the stethoscope includes a high-quality diaphragm to listen to high-frequency sounds and a bell to listen to low-frequency sounds. Most of the stethoscope brands compromise only a single diaphragm. As per the AHA guidelines, there is an angulation of binaural that must suit individual needs. The stethoscopes offered from Welch Allyn are convertible and include a pediatric as well as an adult diaphragm. Hence, when you purchase this stethoscope, you would get performance and functionalities of two stethoscopes for the cost of one. Welch Allyn for Students Harvey DLX Adult Cardiology Stethoscope, Black; 5079-325; Double-Head Chestpiece (Diaphragm and Bell), Dual Lumen Tubing; 28 in. The electronic stethoscopes from Welch Allyn are popular among experienced medical professionals. These stethoscopes come with sensor-based technology offering you precise sounds pickup of high as well as low frequencies. These stethoscopes minimize vibrations, sound loss, and resonance. For this reason, it can conveniently detect low diastolic murmurs with ease. The Welch Allyn’s electronic stethoscope is also perfect to identify high-pitched pulmonary sounds that you may not be able to hear with common stethoscopes. While the traditional stethoscopes use a microphone to amplify sound in the ears, the electronic stethoscopes from Welch Allyn use high acoustical sensors. These sensors are placed directly in contact with the diaphragm, enabling it to pick up even the faintest sounds. The picked sound waves are then transformed directly to an electronic signal, at the same time reducing distracting ambient noise. The cardiology stethoscopes from Welch Allyn are developed with high precision and deep attention to detail. These stethoscopes are famous as Harvey series. It is because they are produced in association with Dr. W. Proctor Harvey, who is a certified Master from the American College of Cardiology. The Harvey series are stethoscopes designed especially for cardiologists and is available in two types – Elite and DLX. The Harvey DLX stethoscopes from Welch Allyn come with trumpet brass engineering. Hence, these stethoscopes stand out over other products. The trumpet brass engineering allows hearing vital cardiac, vascular, and pulmonary sounds without depending on the tricky variable pressure method. Such stethoscopes are available in triple and double head designs. They are ideal for an adult as well as pediatric diagnosis. With dual-lumen tubing, there is an uninterrupted supply of sound from chest piece to the ears. Welch Allyn offers these stethoscopes with a 10-year warranty, which confirms its high-quality. The Harvey Elite cardiology stethoscopes from Welch Allyn come updated styling designed to offer enhanced comfort to the users. You can expect to achieve high auscultation capabilities, which is why large numbers of cardiologists believe using this stethoscope. With stainless steel head transmission, the sound received by the examiner is clear and crisp. 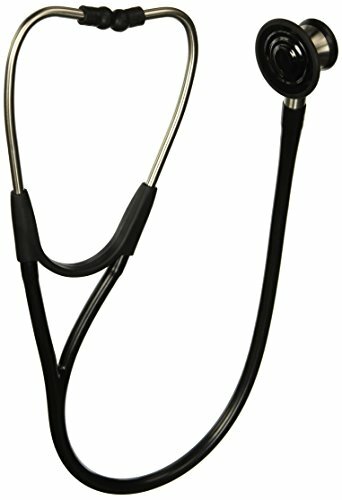 These stethoscopes incorporate a rotatable binaural and interchangeable sealing ear tips. Besides dual-lumen tubing, these stethoscopes hold a double head chest piece. It is ideal for full-range pulmonology and cardiology diagnosis and is available with a 10-year warranty. If you are looking for a Welch Allyn stethoscope that can offer you unmatched durability and brilliant acoustic clarity, then you must check the professional grade range from this brand. The stethoscopes within this range are lightweight and professional. They are engineered with advanced technology to deliver amazing sound quality, superior comfort, and long-lasting durability. For this reason, the stethoscope is a perfect solution for experienced doctors, nurses, as well as new medical practicing professionals. Furthermore, all stethoscopes in this range can be custom fit through adjustable ear tips and adjustable binaural. These stethoscopes are best for listening to vascular, pulmonary, and cardiac sounds. You can even use them for blood pressure and general auscultation. Besides double head feature, the stethoscope holds a flat diaphragm and stainless steel binaural and chest piece. There are both pediatric and adult versions available that you can obtain with a 2-years warranty. The disposable stethoscopes are another popular category from this brand. These stethoscopes are perfect for those who want absolute protection against allergic or cross contamination. The disposable stethoscopes are meant for single patient use. These stethoscopes are available at an affordable price. Despite low pricing, you can use it to obtain brilliant general auscultation. Both the pediatric and adult versions are available with the single-head design. Besides binaural and plastic chest piece, the stethoscope comes with latex-free tubing and offer long-lasting functionality without any wear and tear. Welch Allyn is one of the prestigious stethoscope brands worldwide. It is famous to offer premium quality products at a budgeted price. You can check for different types of Welch Allyn stethoscopes from the company’s website. These stethoscopes offer high efficiency and ease of usage. If you want stethoscopes that meet high-quality standards and are designed to offer superior comfort and precise diagnosis, then Welch Allyn stethoscopes are worth buying.